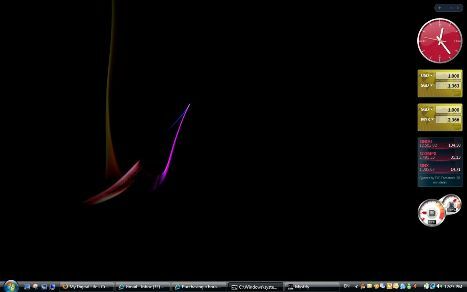 There is hidden special effect for most default built-in screen savers that come with Windows Vista, which many considers to be the hidden Easter egg function that nowadays can hardly found on modern operating system. The hidden gems will set the beautiful Windows Aero screen savers as desktop background, sort of. 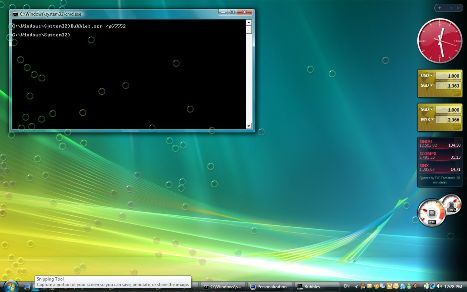 To activate and trigger the Easter egg hidden function on screensavers on Windows Vista, open a Command Prompt window (accessible via Start Menu -> All Programs -> Accessories). 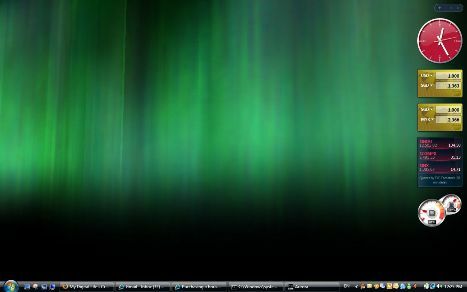 Then type in the following command to activate the special effect which assemble the Windows DreamScene motion desktop visual, but with some flaw such as it covers the whole desktop area, and make desktop unable or inaccessible to be used, as shown in screenshot. As mentioned, the screen saver hidden trick, when activated, will occupy and block access to desktop. 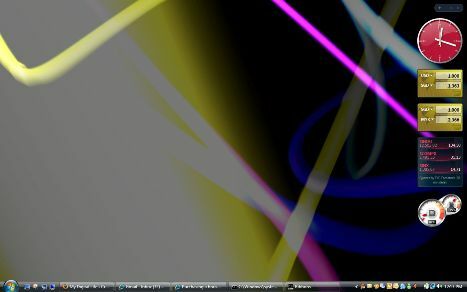 Thus to terminate or close the running Easter egg screen, press Alt+F4 hotkey while the screen saver is in its full screen mode (where the Windows Taskbar and other windows cannot be seen, selected or focused, can be triggered by minimizing the command prompt window that run the .scr /p65552 command), or end the .scr process in Task Manager which can be opened by pressing Ctrl+Alt+Del keys and select “Start Task Manager” or by right clicking on Windows Taskbar (activate when user press Win, Win+Tab or Alt-Tab key) and select Task Manager. The special effect Easter egg leave a tab in Windows Taskbar, considered to be another letdown.